Despite its bold, early moves into the mass production of electric cars with the Nissan Leaf, which originally reached the market in late 2010, Nissan has taken a long, long time to release a true electric-car Second Act. 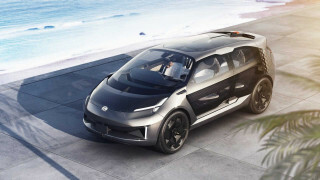 With the arrival of a yet-unnamed fully electric crossover utility vehicle sometime next year—the first vehicle to be built on the automaker’s new electric vehicle platform, and expected to have a dual-motor version and a range approaching 300 miles—that wait will be over. 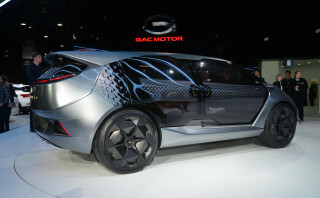 Although Nissan has remained rather tight-lipped so far on details of the crossover and its platform, in a quick interview at CES, Ivan Espinosa, Nissan’s corporate VP for global product strategy and product planning, gave us a better picture of where the vehicle will land in form and function, as well as a few more clues about those new platform underpinnings. 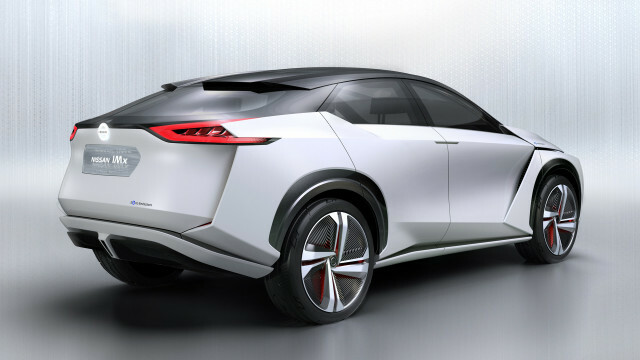 As a good starting point, look again at the Nissan IMx concept that was originally shown at the 2017 Tokyo Motor Show. Development of the crossover, Espinosa said, has followed very closely on the design of this concept. 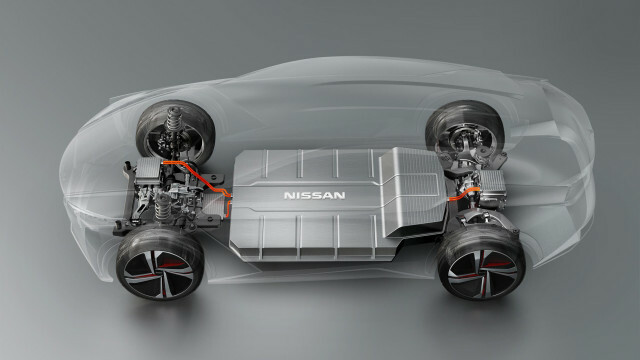 Nissan has said that it will launch at least eight fully electric vehicles by 2022. Although several of those are for China, we can be sure the crossover isn’t the only model to be built on Nissan’s new dedicated electric platform. 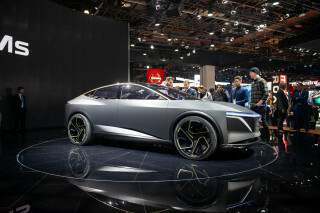 It’s quite likely that the IMs concept that made its debut at the Detroit auto show this week might, potentially, become a sedan counterpart. 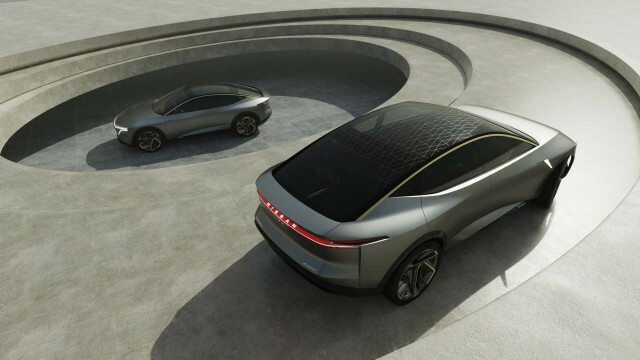 The crossover is expected to be roughly the size of a Nissan Rogue (or a Tesla Model Y, perhaps) on the outside, but be larger than its internal-combustion equivalents on the inside. The key to that spaciousness, Espinoza explained, is that you’re not planning around an internal-combustion engine. “It’s giving us a lot more freedom in terms of the packaging and how you can play with interior space,” he said. 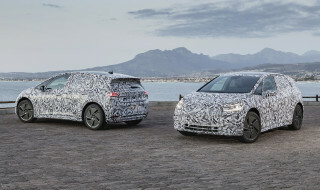 “When you look at other brands coming out with EVs, they are adapted platforms, from combustion engines to electric vehicles,” and even in a fully electric model there’s still space for the engine and drive tunnel. “When you have a dedicated [electric] platform to work with, all those constraints are gone,” he said. Although he noted that sometimes the freedoms can be daunting, as the engineers, planners, and designers are too accustomed to putting components in very specific places. In the production model derived from IMx, he said, the entire climate control system, often inside the dash, has been moved under the hood—freeing up more passenger space. In terms of dimensions, proportions, and all the “hard points” of the platform—the key dimensional spots that can’t easily be changed because of the manufacturing process, crash safety, or structural integrity—Nissan started this project with a clean slate.